There are 366 different Starters of The Day, many to choose from. You will find in the left column below some starters on the topic of Mixed. In the right column below are links to related online activities, videos and teacher resources. Abundant Buses: A game based around the concept of factors and abundant numbers. Analogies: Make more of analogies to help remember mathematical concepts. Birthday Clues: Work out the date Will was born by answering some number questions. Breathe Easily: How many breaths have you taken in your lifetime? Christmas Eve: How many palindromic numbers can you find? ClockEquate: Can you use the digits on the left of this clock along with any mathematical operations to equal the digits on the right? Digital Lights: Questions about the Small LEDs used to make up the digits on a calculator display. Four Gone: An activity involving a broken calculator which is missing the four button. Can you evaluate the given expressions without using the four? Halloween: Five problems with a Halloween theme. Hold 'Em Up! : Everyone in the class holds up an item to show which is the correct answer to the multiple choice question. Jeopardy: Loosely based on the famous television show, how many questions cn you come up with for a given answer? Just Four Questions: Four mathematical questions to think about at the beginning of the lesson. Last Day: The 31st of December is the last day of the year. What mathematical lasts do you know? Maggots: Do as many of the calculations as possible before the maggots infest! Maths Crossword: A small crossword puzzle containing mathematical words. Mental Maths Test: The starter is a PowerPoint file containing a twenty question mental arithmetic test. It will advance from one question to the next automatically. Mystery Numbers: Can you recognise the mystery numbers from the clues? Paradox: Can you solve this paradox by agreeing whether the statements are right or wrong? Positions Please: Stand at the point between the classroom walls to represent a given number. Scaramouche: Can you work out from the five clues given what the mystery number is? Six of the Best: Six calculations to perform without a calculator. Take Sides: Put up your right hand or left hand depending on the expressions that appears. True or False? : An activity designed to address common misconceptions. Word Search: Create your own mathematical word search for the whole class to enjoy. GCSE-style questions for regular practice designed for students targeting grades 3 to 5 (C/D) of the GCSE Mathematics examination. A healthy mashup of activities and ideas to use and apply mathematical knowledge in a variety of situations. The ultimate customisable lesson Starter is Refreshing Revision. You can choose which topics are included and every time the page is loaded the numbers used in the questions are randomised. Back To School: A list of suggested activities and resources for the first few lessons of the new school year. Emergency Maths Lessons: Here are some mathematics lesson plans to be used on the rare occasions when a class is left without their normal teacher and you are stepping in at a moment's notice. Exam Tips: Some advice, tips and tricks for a Maths exam presented in the form of a poem for a teacher to share with the class. Maths Bingo: This application will pick the bingo numbers for you and present each of the numbers as a mathematical expression. Mini Whiteboard: If each pupil has an iPad, laptop or slate this provides an alternative to 'hands up'. Playing Card Maths: Imagine you are on a desert island with nothing but a pack of playing cards. Do you have to stop learning mathematics? Student Voting: This system allows students to vote or choose a response to a question posed by a teacher. Timer: A simple visual aid which acts as a stopwatch recording the number of minutes and seconds that have passed or are left. True or False? : Arrange the given statements in groups to show whether they are always true, sometimes true or false. Algebraic Perimeters: Questions about the perimeters and areas of polygons given as algebraic expressions. Chain Challenge: How fast can you perform all of the given operations without using a calculator? Formulae to Remember: The traditional pairs or pelmanism game adapted to test recognition for formulae required to be memorised for GCSE exams. Kim's Quiz: The traditional memory game played with mathematical statements. Linear Programming: A selection of linear programming questions with an interactive graph plotting tool. Mathopoly: A game of buying and selling property with maths questions thrown in for good measure. Maths Analogies: Make more of analogies to help remember mathematical concepts. Maths General Knowledge Quiz: Questions about general mathematical facts and concepts. Maze: Each visitor to this page has a unique maze constructed for them to find their way through answering mathematical questions on the way. Mystery Numbers: If '7 D in a W' stands for 7 days in a week, what do you think these mystery numbers are? Number Skills Inventory: A checklist of basic numeracy techniques that every pupil should know. Numskull: Interactive, randomly-generated, number-based logic puzzle designed to develop numeracy skills. Pentransum: Mathematical questions with five possible answers. If you get 20 correct you can add your own question to the database. Snappy Sorting: Sort the numbers in to the correct order as fast as you can. Topic Test: Ten multiple choice questions randomly chosen from those suggested by people from all around the world. 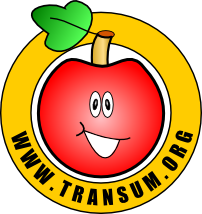 Tran Towers: An adventure game requiring students to solve puzzles as they move through the old mansion. Tran Tunnels: An adventure game requiring you to answer questions and solve puzzles as you move through the tunnels. Trick Or Treat: A mathematical true or false general knowledge activity for Halloween. Weekly Workout: GCSE-style questions for regular practice designed for students targeting grades 3 to 5 (C/D) of the GCSE Mathematics examination. Formulae for GCSE: These are the formulae candidates need to know for the GCSE(9-1) Maths exams. Maths In The Movies: Mathematical errors in the movies. Maths Revision Song: Lana Rose sings the song she wrote for GCSE maths revision. Puzzles In The Simpsons: The Simpson's 26th season finale. 'Mathlete's Feat' is full of mathematical problems that Presh solves. Recap Crossword: Two small crossword puzzles based on Secondary school Maths topics. Take Sides Questions: Thirty pairs of numbers or calculations. Which one of the pair is the largest? Arrange the given statements in groups to show whether they are always true, sometimes true or false.